There's big news with regards to sitemap files in Blogger. If you have a blog running on Google's Blogger platform, you no longer need to worry about creating and maintaining a custom sitemap and then submitting it to search engines. Google will now automatically create a sitemap file in your root directory, eliminating the need for third-party sitemap services on Blogger. 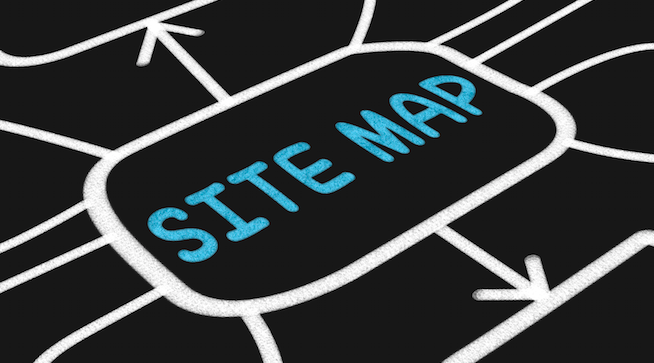 A good, high-quality sitemap is an integral part of search engine optimization. It offers a really simple way for site owners to share information with every search engine about the content they have on their site instead of having to rely solely on crawling algorithms. Many Content Management Systems such as WordPress let you easily create a sitemap with either native or third-party support. This includes Blogger as well. Blogger, as you might know, is pretty limited. Blogger users can not access the root directory of their blog. Their content remains hosted at Google even if they have a custom domain. The ftp directory your web hosts creates can allow you to only host files at sub-domains, and if you try hosting files at the root directory, Blogger will return a 404 error. As a consequence, the only good way of submitting a sitemap for Blogger was to submit an RSS or Atom feed, since it does almost the same thing and is in xml format as well. I think this is a very welcome step, and I hope the Blogger teams will provide customization options as well for the sitemap. If you have any questions, or want to participate in the discussion, then please feel free to join us on our discussion form where we talk about creating a sitemap for Blogger. You don't need to do it anyway since your existing sitemap which is on atom.xml or rss.xml will work well and if you create a new blog then you can follow this approach. Is it Blogger already announce this long long time ago ? its really great news for all webmasters, likly we all where submitting manual sitemap to GWT now as per your article it will be uploaded automatic but what if we want to upload it to bing webmaster tools ? It's probably obvious to others, but I had to formulate the link with "blogspot" in it. and then it downloaded that file to my downloads directory. If I open that in an editor I find all the info is presented in one single line ! No problem with your suggested CodeLobstert, just do ctrl+alt+f and it becomes a very readable file. Could you comment as to what is important for good ratings? Is it a matter of the number of posts, or the recency of "last mod", or something else? Anyway, thanks for the info so far. im about to make a custom sitemap for my personal bog. Glad i found this great news here in mbt. Thanks for sharing. How to create sitemap for Blogger Page (Not Post). ???? in this blog 27 Pages and only 1 post so my sitemap display just 1 post . what about pages ??? how to create a sitemap that display only /sitemap.xml?page=1,....... instead of post urls? Was looking for a way to get sitemap to update but this info is great glad it is automatic, its quite new to me so still finding out how it all works. Most websites have a sitemap.html file as part of their content in their website that is eventually discovered by a bot. Very helpful post, thanks a lot. million thanks bro, i do your tutorial on my new blog here karimunjawatours.com. hope it works well. i have old blog but use different sitemap than from your tutorial.